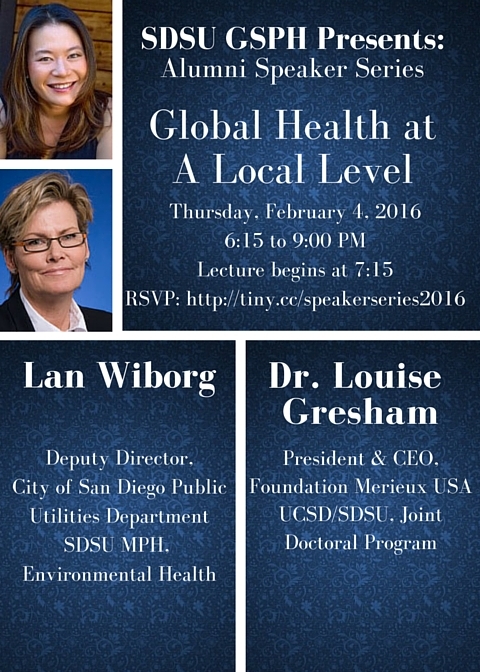 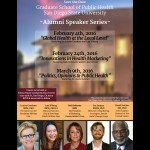 Join us Thursday, Feb. 4, 2016 for the First Lecture in our GSPH Alumni Speaker Series! 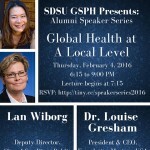 The events will take place from 6:15 – 9 pm (lectures being at 7:15 pm) in the evening at the Parma Payne Goodall Alumni Center on SDSU campus . 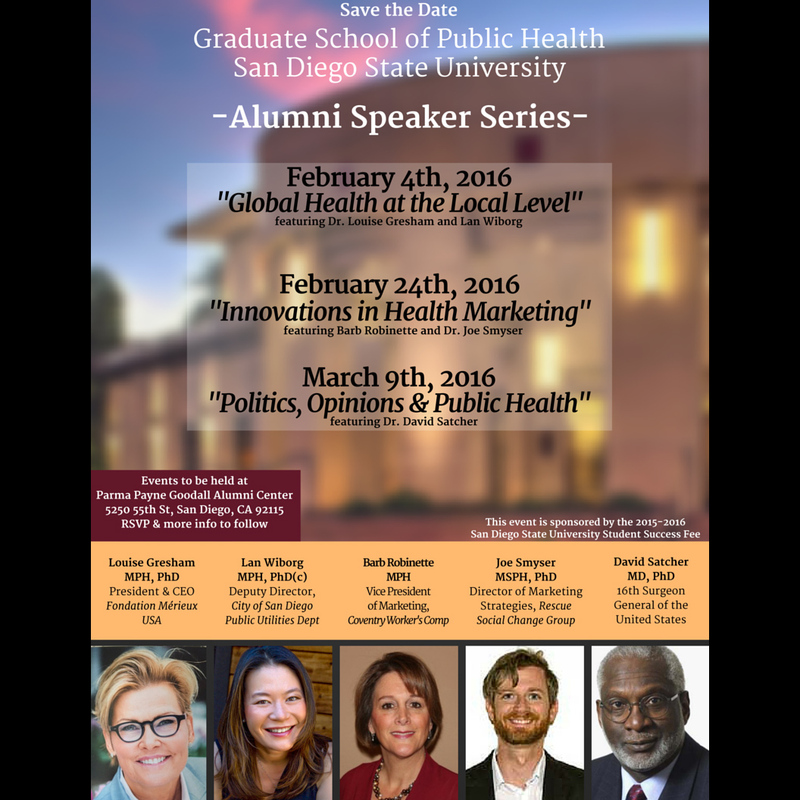 For additional questions or comments, feel free to email: gsph.sc@gmail.com.